New Year’s Eve is one day when some people reflect upon the year gone by and do a little self-introspection to see where they can bring in a positive change for themselves. 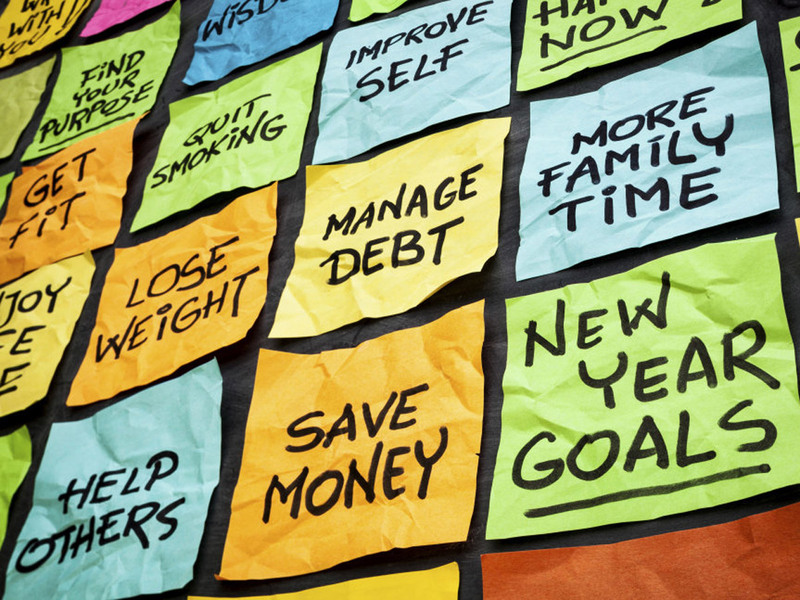 It is that time of the year when people resolve to change an undesired trait or behaviour to accomplish a personal goal or improve their lives by making a New Year’s Eve resolution. Regardless of what people commit to, their ultimate goal remains to better their lives. And that in itself can be a positive start. On that special note, Gulf News set out to speak to a cross-section of people from the UAE to talk about their resolution for 2019. We can assure you some of the answers were rather interesting as some people say they want to give up smoking, eating healthy, losing weight or find a life partner in 2019. December 31 2018 will be the last day I smoke a cigarette. I have been thinking about quitting smoking . I have two children and want to be healthy for them.But the past year I never did anything about it so I have resolved to make the change from January 1. I am a coffee addict and I want to give my love for caffeine. So from the new year I will give up coffee and lead a healthier life-style. For years I have thought about visiting Japan. Am a big Sushi fan and always wanted to explore street food here. Next year sometime I will travel to the country to experience its rich culture and food. My New Year’s Eve resolution is to save more. I came to the UAE to earn enough money so I can help my family back home. Come 2019, I will ensure this happens. I want to find a job next year. I am a mother of two children and for years I sacrificed my career just to look after them. But I feel the time is right for me to become independent. So 2019 will be my year to find a new job. Travelling will be on my agenda. The UK and Japan are two countries I have want to visit next year. I am saving enough so I can take my family there. Last year I could not accomplish my New Year resolution. I wanted to build a villa back home. This year I plan to achieve that goal by investing in a land and starting construction of my house. I also want to find the love of my life and be married in 2019. I want to work hard enough to progress in my career. Marriage is also in my agenda for 2019. I wanted to lose weight in 2018, but I did little about it. Going forward in 2019 I want to make a lifestyle change by joining a gymnasium and lose weight and get into shape. In 2019 I want my life to be more exciting than it was last year. So I will make more friends, travel and indulge in more outdoor activities. I want to find a job in Dubai. Currently I live with my wife and children here in the emirate, but work remotely for a company in Moscow. Next year I want to seriously look for a job in Dubai itself. The year 2019 will be all about living cautiously. This means I will be cutting down my expenses. I also want to be careful about the friends I make. So next year will be all about less partying, fewer friends and living a more meaningful life. My 2019 New Year’s resolution is to lose weight and get fit. I have been leading a sedentary lifestyle the past years, and next year I want to change this. I have made a resolution to include a healthy diet in my food intake. I eat a lot of junk and feel that I have been gaining weight as a result. Next year I definitely want to drop this and eat healthy. I want to travel to New Zealand in 2019 just to see the country’s landscape and explore the various adventure sports. I have started planning my holidays to fit in this plan next year. My focus in 2019 will be to improve my business in the UAE. The introduction of VAT slowed down my revenues last year. Next year I will devise a strategy to better my company’s performance. Am a huge fan of the likes of Roger Federer, Rafael Nadal, Andy Murray and Novak Djokovic. I just started learning tennis because these sports icons inspire me. In 2019, I hope to better my skill and play really good tennis.